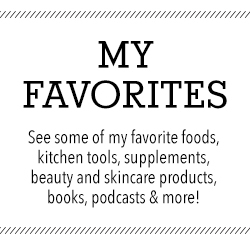 Disclosure: Post sponsored by Crock-Pot® brand slow cooker & Mirum Shopper, but all opinions are my own. 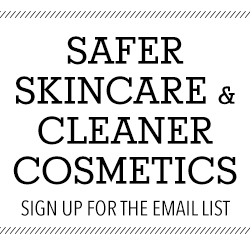 Please see below for additional disclosure. With the first day of winter upon us and Christmas just mere days away, the comforts and coziness of the season are in full force. 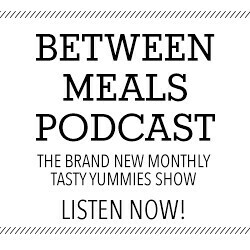 All the holiday cookies, seasonally-inspired meals, traditional cocktails and so much more. 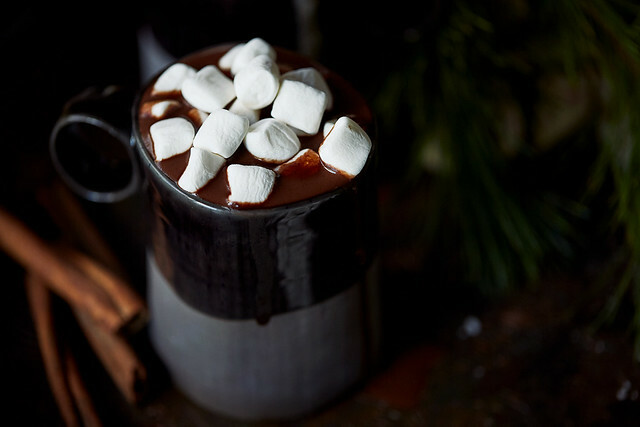 But for me, nothing brings the taste of the season like some rich, creamy, homemade Hot Chocolate. 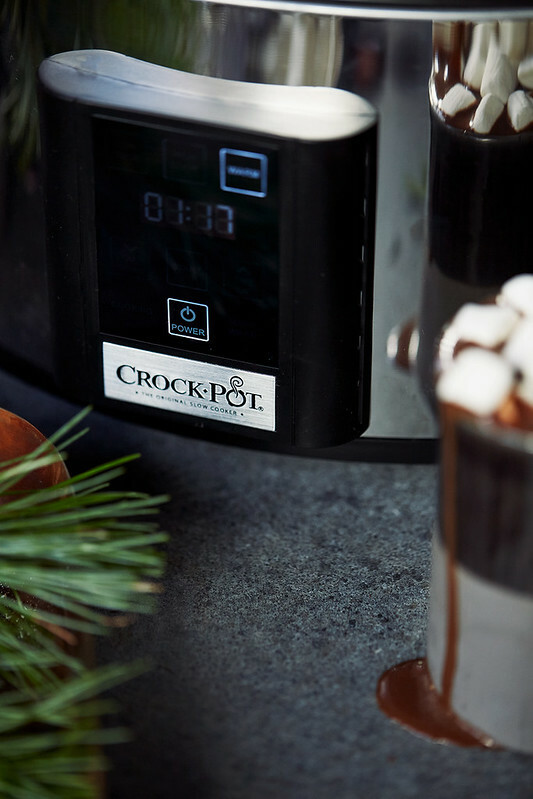 Making Hot Chocolate in the Crock-Pot® brand slow cooker, rather than on the stove top offers so many benefits beyond the obvious conveniences. 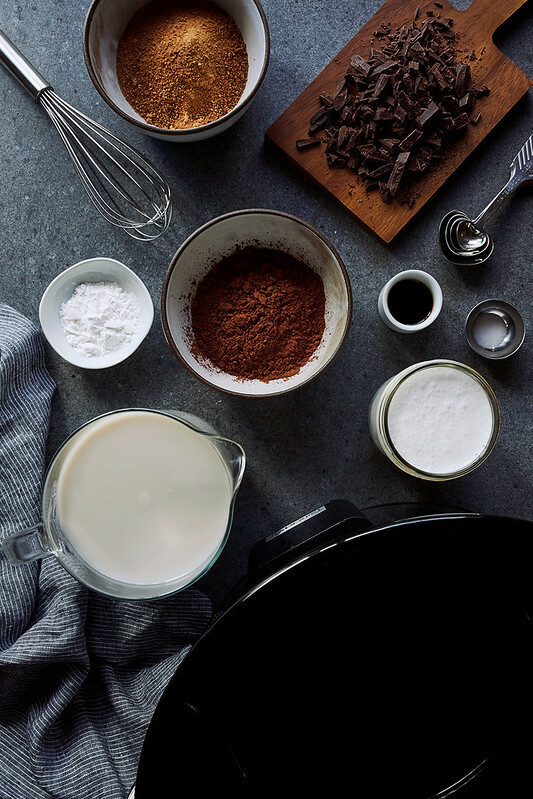 I like that the Crock-Pot® heats the hot chocolate slowly and evenly, which removes the chances it with scorch or burn, which can easily happen on the stove top. 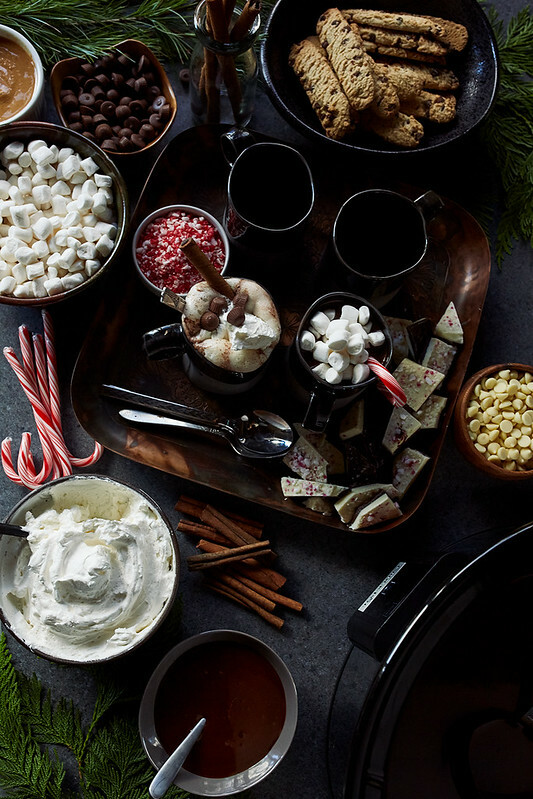 Additionally, for entertaining purposes, setting up the Crock-Pot® to make the hot chocolate leaves more open space on the cook top for cooking, but even better when guests arrive, you can set up a killer spread, a super festive Hot Chocolate Bar with all the fixins’. 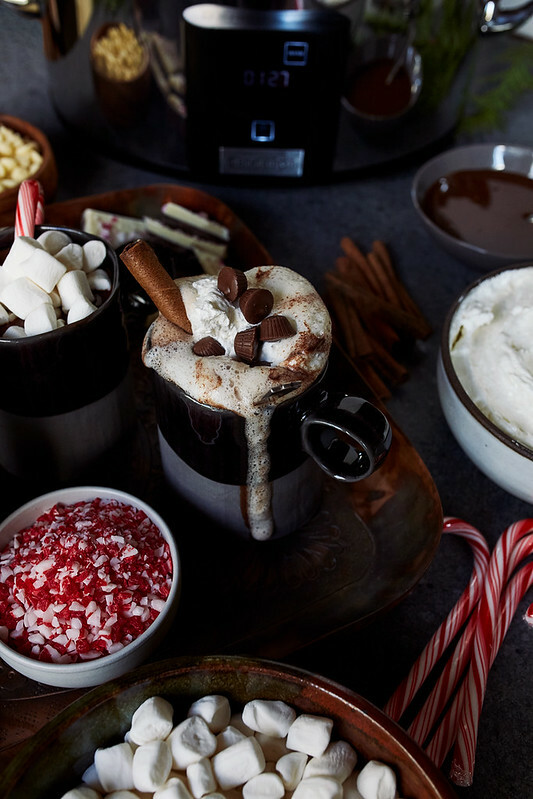 The Crock-Pot® brand slow cooker can be front and center, keeping the silky chocolatey drink nice and warm, ready to be all dressed up with your favorite toppings and add-ins. 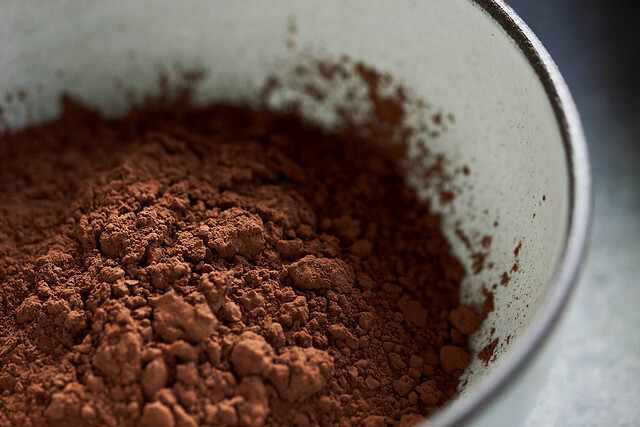 Made with whole, real food ingredients, this Hot Chocolate puts all others to shame. 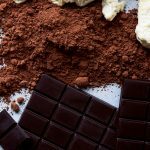 It’s rich, creamy and decadent, it’s not overly sweet and because it’s made dairy-free and without refined white sugar, it’s a great option for anyone following a vegan or paleo diet. 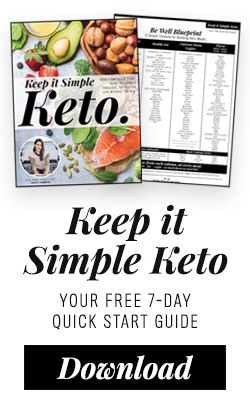 It’s a great option for kids and if you have folks with nut allergies, you can easily swap the almond milk for a something that isn’t nut-based, hemp, rice or oat milk, instead. 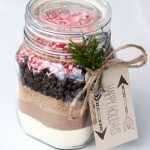 For you last minutes elves, since this Crock-Pot® Hot Chocolate is based on my simple DIY Hot Cocoa Mix, you could also easily package up a batch of the mix (and print my simple labels) to gift someone special their own mix plus their very own Crock-Pot® brand slow cookerso they can make this for themselves. 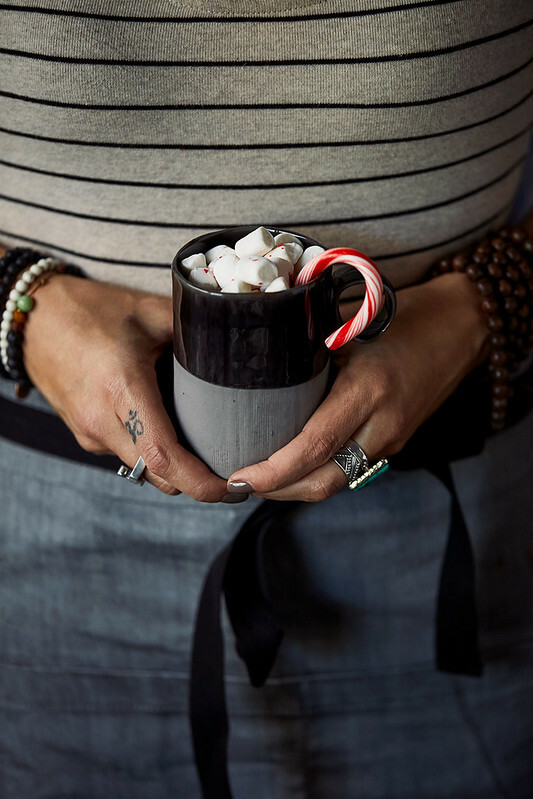 Grab them a set of cute mugs and you are set! 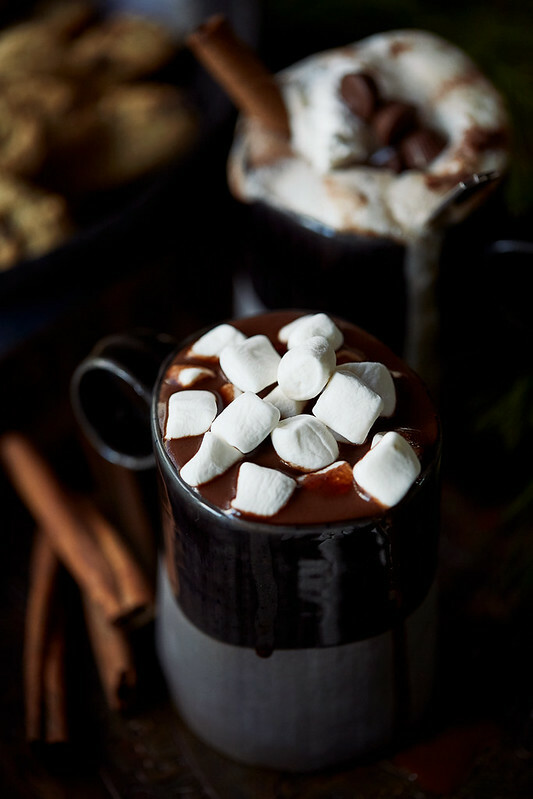 Anything else you might like to add to your hot cocoa. We are headed out on a Duffy boat with some friends this evening, we are touring the Naples Island Canals to check out all the amazing Christmas lights. 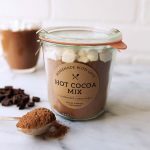 I, of course, have a batch of this Hot Chocolate ready to go into the Crock-Pot® brand slow cooker and just before we leave, it will get poured into a thermos for easy transport. I already have the fixins’ all packed up. 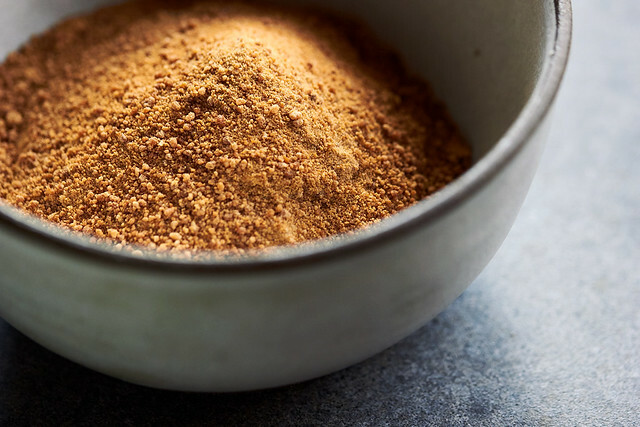 Add the raw cacao, coconut sugar, arrowroot and sea salt to the Crock-Pot®. Whisk well to combine. Add the almond milk, coconut milk and vanilla extract. Whisk again to combine. 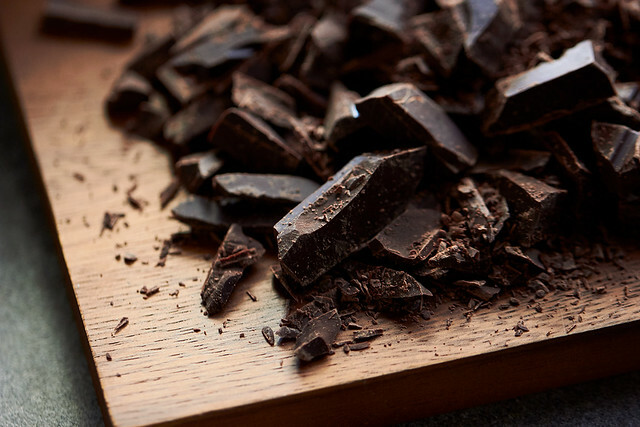 Add in the dark chocolate. Stir well to combine. 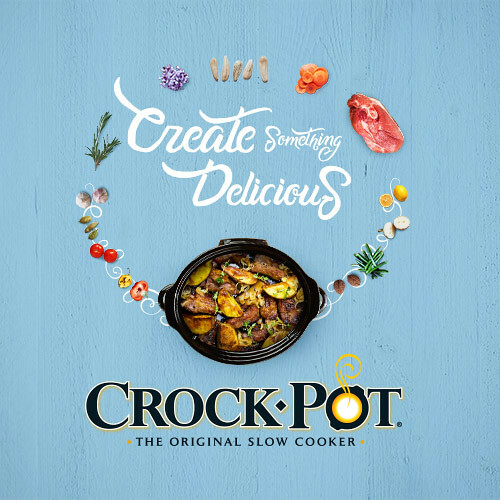 Place the lid on the Crock-Pot® and set to high for 1 hour and 30 minutes and cook until hot. 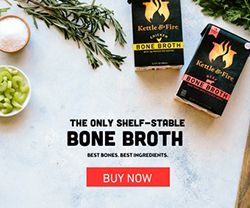 Leave the lid on while cooking. Just before serving give it a good stir to mix in the melted chocolate and to make it silky and smooth. Set the Crock-Pot® to warm and keep the lid on when not serving. 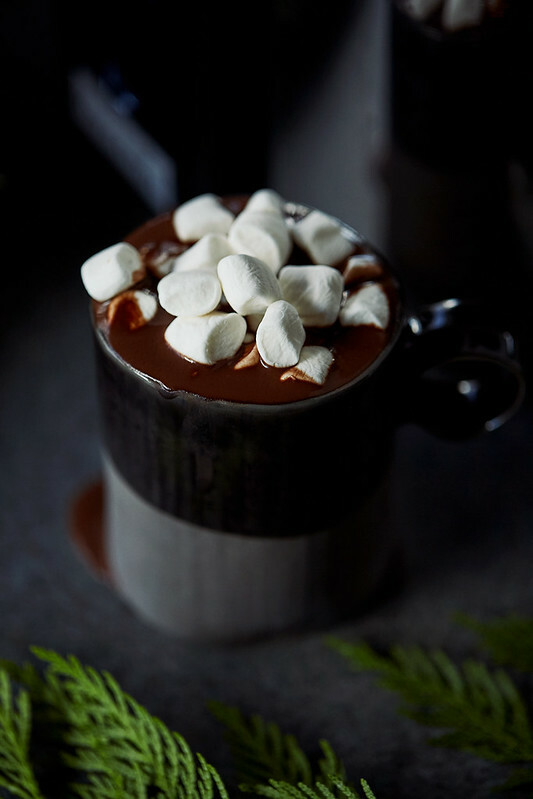 Ladle the Hot Chocolate into mugs and top with your preferred toppings. Enjoy. 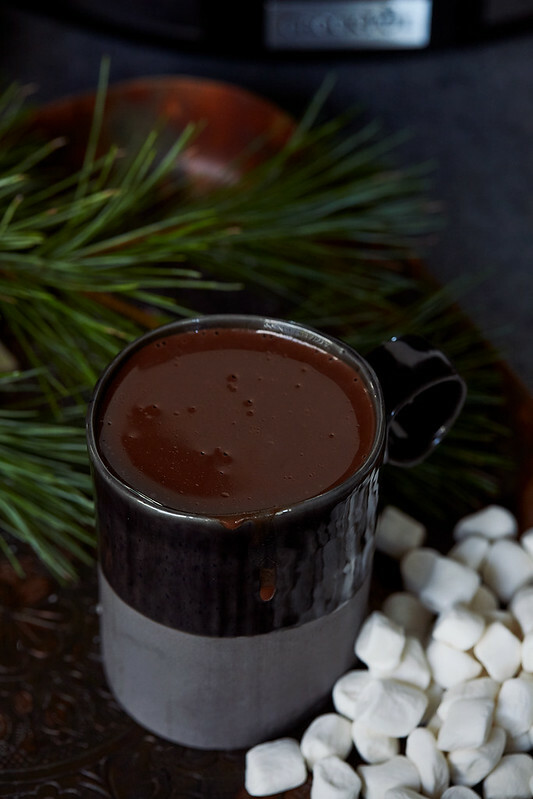 This makes 8 cups of hot chocolate, which serves anywhere between 4 and 8, depending on how large the servings are. For larger groups, you can easily double or triple the recipe, depending on the size of your Crock-Pot. Crock-Pot® brand slow cooker & Mirum Shopper is a sponsor of Tasty Yummies. All content, ideas, and words are my own. 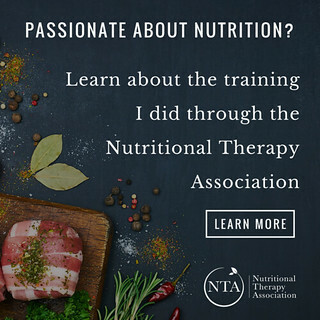 Thanks for supporting the sponsors that allow me to create new and special content like this for Tasty Yummies. 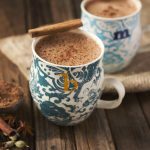 A crock pot full of dairy free hot chocolate? I can’t decide if that sounds like heaven or the kitchen in Willy Wonka’s chocolate factory! YUM!